Adventurer, triathlete & ultra-distance cyclist Michael Strasser achieved the seemingly impossible in spring 2016! 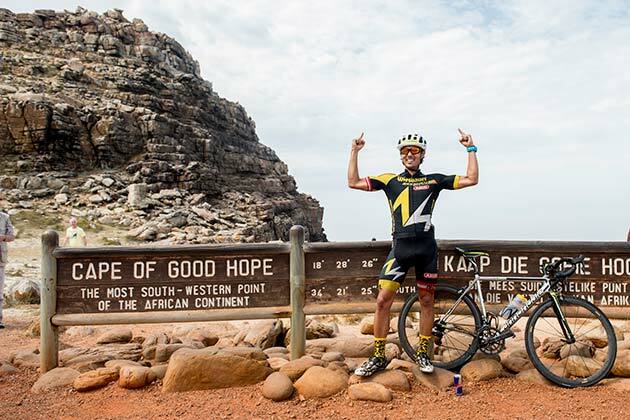 Alone, only with the support of two friends (Inge Kiselka & Chris Wisser) and a 20 year old Toyota he breaks the world record “Cairo > Cape Town” which was held by an international 5-man professional cycling team with 10 coaches and numerous accompanying buses. It was all about finding the fastest way from the Mediterranean to the Cape of Good Hope. More than 11,000 “African” kilometres and almost 70,000 metres in height had to be overcome. Michael speaks about the long preparation and how to develop a project that cannot actually be planned at all. Even before the start of the adventure there were many setbacks to overcome and when Michael actually fainted and collapsed off his bikeafter the first week in Africa it became apparent how dramatic this project really was. With fantastic pictures and short videos he reports about the adventurous tour.